Having to make the decision for a family member or loved one to go to a Long Term Care facility can be very hard. It can be difficult to find the right type of care or facility that you and your loved one feel comfortable and certain about. 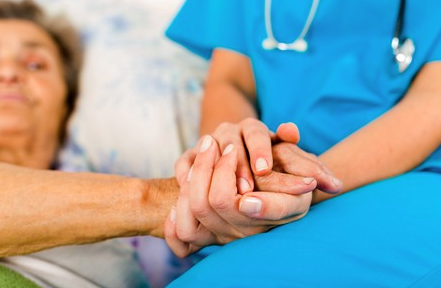 When choosing a Long Term Care facility you have to make sure the environment is safe, that they are receiving the best care possible, and that your family member or loved one feels comfortable there. The best way to monitor the care and environment that your loved one is getting is by visiting them often. According to Robyn Grant, who is the director of public policy and advocacy for The National Consumer Voice for Quality Long Term Care, he says that you should visit frequently and at different times of the day. • Medication not administered properly, at the right time of day or not given at all, or perhaps given the wrong medication. Robyn Grant says that visiting a loved one helps monitor their care and allows you to see the environment your loved one is in. Grant is working with The Long Term Care Ombudsman Program to help investigate complaints made by residents in these facilities and how to resolve them moving forward. If you or a loved one is in need of Long Term Care visit LTC TREE to learn more information on policy info, advice, rates, quotes and comparisons.